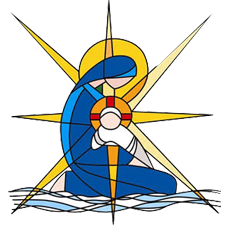 At OLSOS school Terrigal we are part of the wider Diocese of Broken Bay and our school, as one of the Catholic systemic schools in the Diocese, is administered by the Diocesan Schools Board and Catholic Schools Office (CSO). As the CSO website identifies, “We are privileged to share our Catholic faith with our students, whether they be Catholic or not.. and this sharing is a community effort”. Thus we would like to take this opportunity to officially welcome you to the Diocese and share some insights from the Diocesan website about our Catholic community at large and how this filters down to influence us at a local, school level. When your child goes to a Catholic school you are enrolling in a Catholic community that is bigger than the school. Your Catholic school is part of a parish… by accepting your child’s enrolment the parish community is committing itself to the formation of your family in the faith. We invite you and your family to participate in the …parish so that your family becomes part of the faith community. The Rite of Christian Initiation of Adults (RCIA) is a process whereby individuals who wish to become members …can begin a journey of spiritual conversion which will lead to initiation into a Catholic faith community… Please contact the parish office or check in the bulletin for the Terrigal RCIA times. Whether it is families committing to send their children to… Catholic schools in our Diocese, to be taught and nurtured by… dedicated and highly professional teachers we all proclaim the Good News in our own way. Ultimately, we all proclaim the Good News of Jesus in our families, our workplaces, our social engagements, by our words and actions and the way we live our lives. Every Sunday, from the Peninsula…up to the Central Coast, about 25,000 people gather together in 26 parishes to celebrate Mass (2012 figures). …The Diocese now extends …streaming daily Mass live on the Diocesan website. To find out more about any of the above please feel free to contact our Parish Office on 4367 4610.